The 2015 Chevrolet Corvette Z06 will make its debut at the North American International Auto Show in January. How do you think it will compare to this 2014 Corvette? Chevy’s performance lineup is easily the most popular in America, but not just of American brands. The Corvette and Camaro combination is a major threat to foreign automakers here in the States, one that has not gone unnoticed. 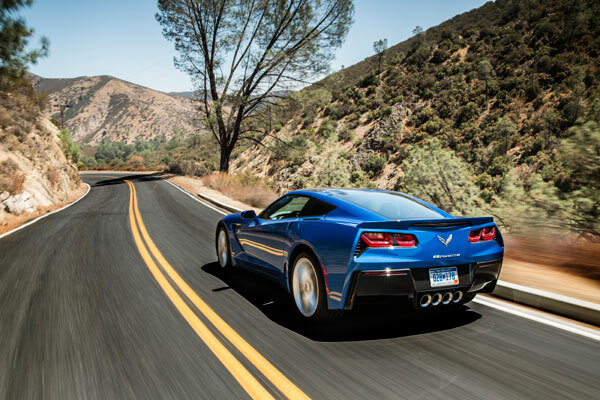 In fact, in the first eleven months of this year, Chevrolet has accounted for one in four of every performance vehicle sold in the Unites States. Specifically, the Corvette beat out its closest competitor, the Porsche 911, while the Camaro dominated the competition against the Ford Mustang. And we have a feeling he’s right. George White Chevrolet has served Des Moines and Centrol Iowa for over 42 with the best that Chevy has to offer. We have an extensive inventory of new and used Chevrolets, including the Malibu, Impala, Silverado, and Cruze.